C1 was a very original concept, its main feature was the engine. What appears as an inline 4 is in effect two inline 2-cylinder engines with counter rotating crankshafts. The gearbox is located under the crankcase (like the original Mini) and the suspension front and rear although not as radical uses some clever packaging. Michael Czysz states that the 81mm bore limitation proposed for 2012 as well of course the 1000cc capacity limit is very convenient for his bike because C1 uses 82mm pistons for its litre engine. He also indicates what many respected Formula 1 engineers like Gordon Murray and Ross Brawn also stated in the past, that the more restrictive the rules, the worse for the sport. And that includes the financial aspect also. 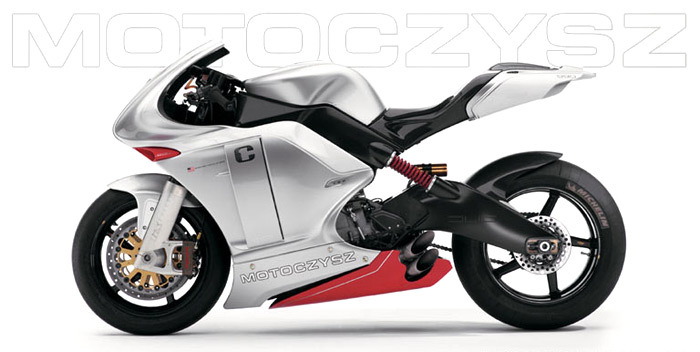 However the current or the proposed regulations for MotoGP still allow little room for concept innovation and although optimistic, MotoCzsysz will have a really hard time competing with the established teams of Yamaha, Honda and Ducati. Much bigger than MotoCzsysz teams like Aprilia, Kawasaki and Suzuki have failed in the beginning of MotoGP and at least Aprilia had tried a similarly radical concept. Opel Meriva, now with FlexDoor!